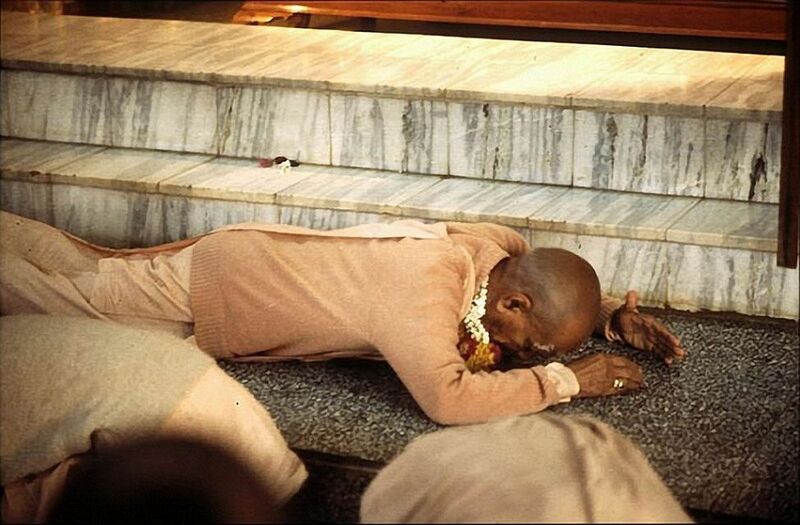 I was looking through some pictures this morning of Srila Prabhupada and my attention was drawn to this above image. He looked so peaceful, and I remembered that peacefulness is one of the transcendental qualities of the pure devotee. 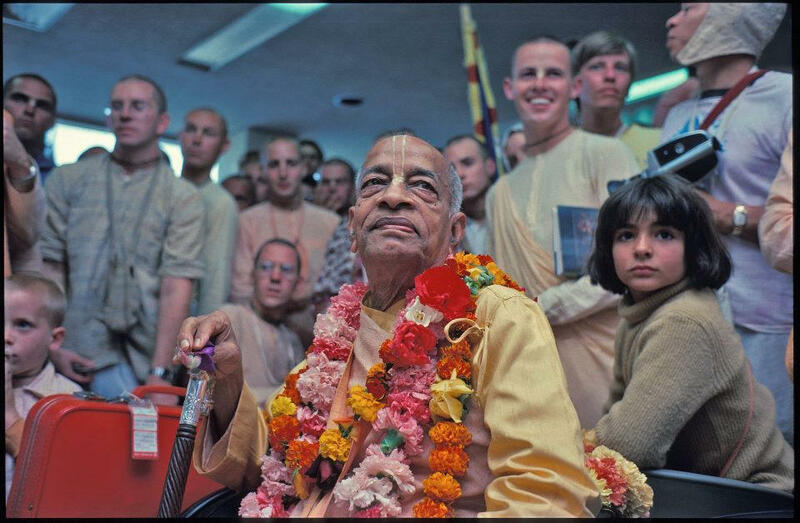 You can click on link at bottom of post to see the other Beautiful Transcendental Qualities of Srila Prabhupada. Continuing with our series on the Nectar of Iststuction (Upadeśāmṛta), we are posting Text 6, the very important instructions given by Śrīla Rūpa Gosvāmī on the position of a person situated in Krsna consciousness. 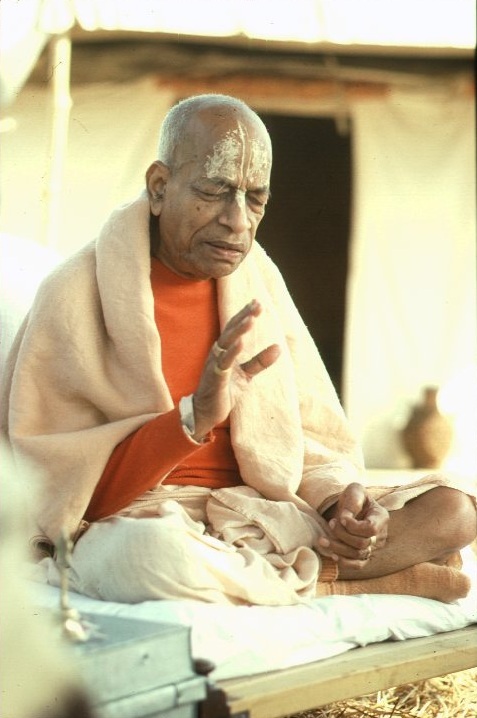 Srila Prabhupada explains in the purport that a person engaged in devotional service must be free from material motives. In this Kṛṣṇa consciousness movement, one’s consciousness is what needs to be changed. How we should view the pure devotee, and also the warning is there how to avoid offenses at the feet of the Vaiṣṇavas. Very important instructions. 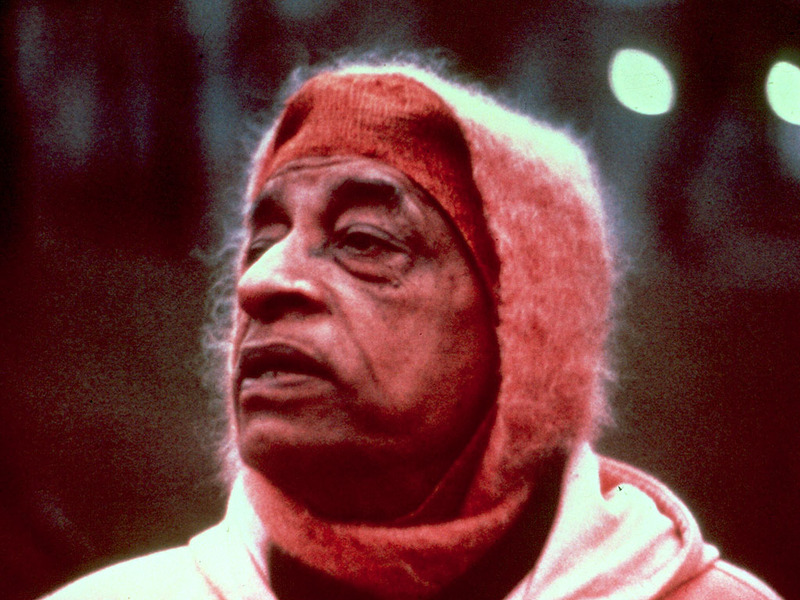 As I was reading from the Srimad Bhagavatam this morning about the passing of Bhīṣmadeva it was being described how “The perfect yogīs or mystics can leave the material body at their own sweet will at a suitable time and go to a suitable planet desired by them.” And how it is possiable to go beyond Saṁsāra, and go back to Godhead without any doubt. …In the momentous hour of leaving his material body, Bhīṣmadeva set the glorious example concerning the important function of the human form of life. 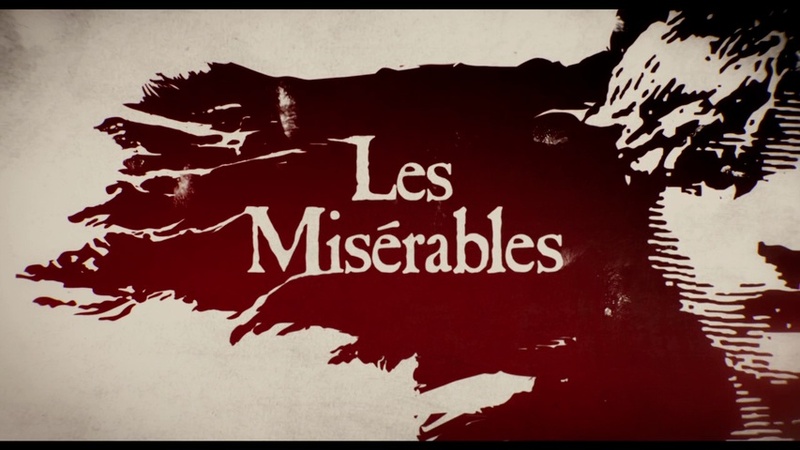 The subject matter which attracts the dying man becomes the beginning of his next life. Therefore, if one is absorbed in thoughts of the Supreme Lord Śrī Kṛṣṇa, he is sure to go back to Godhead without any doubt. Saṁsāra means this material entanglement. 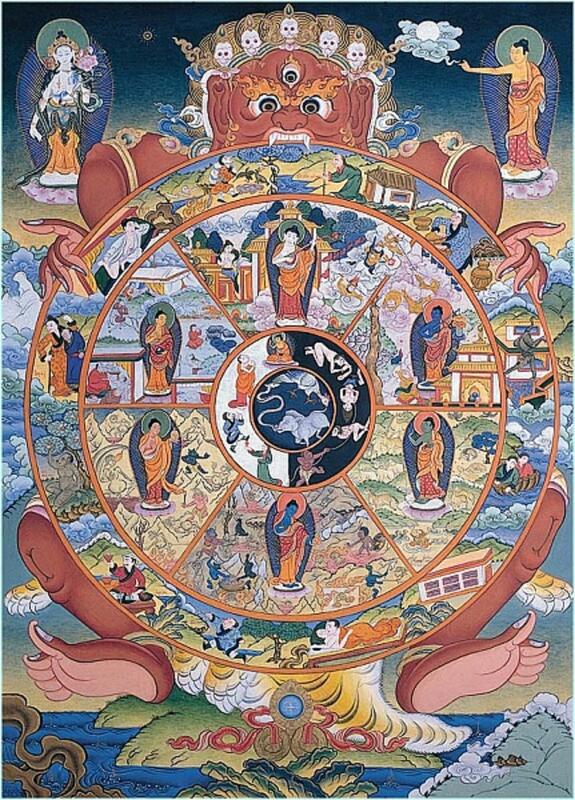 This is called saṁsāra. This is a very nice verse from Srila Prabhupada’s Srimad Bhagavatam. A good friend of mine is always quoting this verse and requested we include it in our daily postings. So without further ado, this one’s for you. “…Another significant word in this verse is puṇya-śloka-yaśaskaram. The devotee is called puṇya-śloka. As one becomes purified by chanting the holy name of the Lord, so one can become purified simply by chanting the name of a holy devotee. The pure devotee of the Lord and the Lord Himself are nondifferent. It is sometimes feasible to chant the name of a holy devotee. 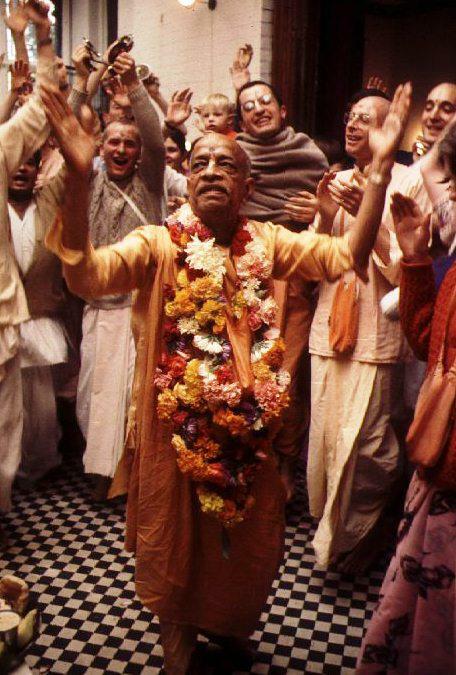 This is a very sanctified process…” Jai Prabhupada! Pure devotee means he has no other desire, no material desire. Anyābhilāṣitā-śūnyam, zero. …And if it is mixed up, anyābhi…, with material desire or spiritual emancipation or fruitive activities, then it is not pure devotee. You can know one person. But to develop love for him, that is another transaction. So people cannot understand even Kṛṣṇa, and what is the saying of Kṛṣṇa’s love? 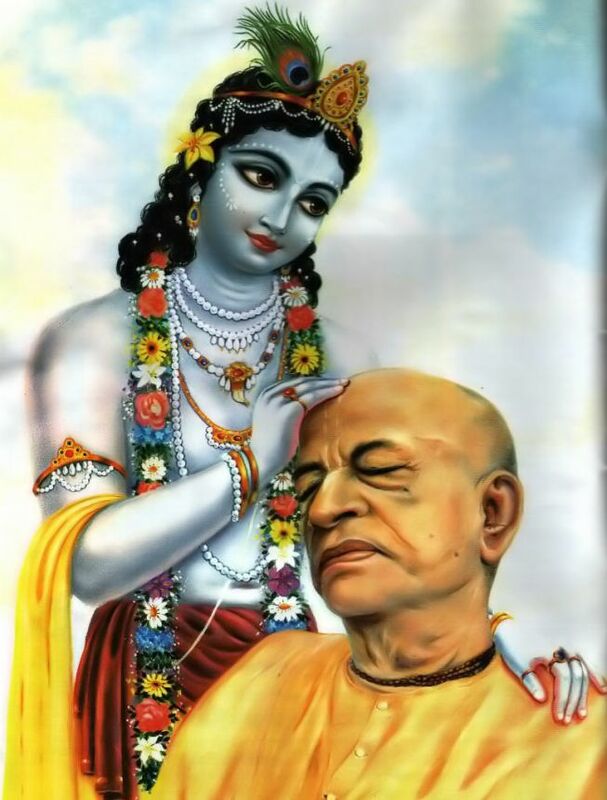 But Caitanya Mahāprabhu is so kind that He’s immediately giving kṛṣṇa-prema, love of Kṛṣṇa. Therefore He is described as the most munificent incarnation. Kṛṣṇa Himself could not deliver Himself. He wanted. “First of all you surrender.” Sarva-dharmān parityajya mām ekaṁ śaraṇaṁ vraja [Bg. 18.66] But Caitanya Mahāprabhu is so kind. 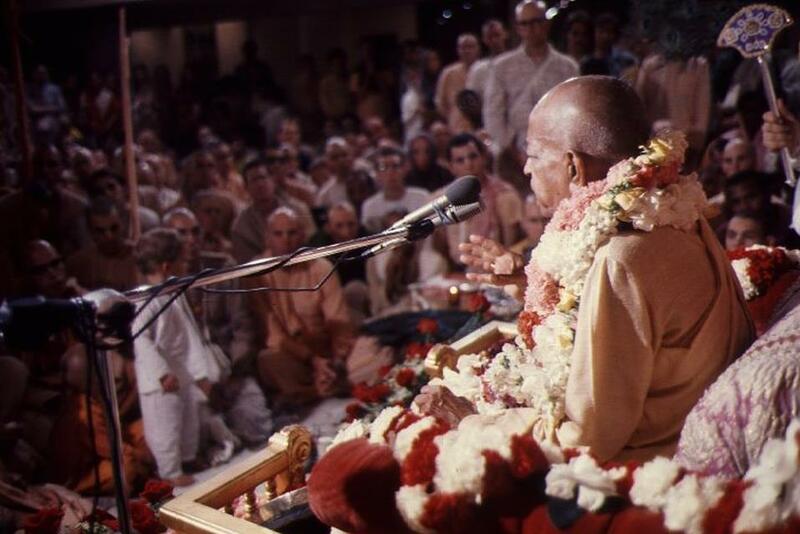 Simply through this chanting and dancing, He is distributing love of Kṛṣṇa. You can see practically. These boys from European and American countries, means all over the world, why they are chanting and dancing in this way? Do you think they have become mad? And one says, “Yes, they have become mad.” Why? For love of Kṛṣṇa. Now they have began they have become lover of Kṛṣṇa. So kṛṣṇa-prema is like that. 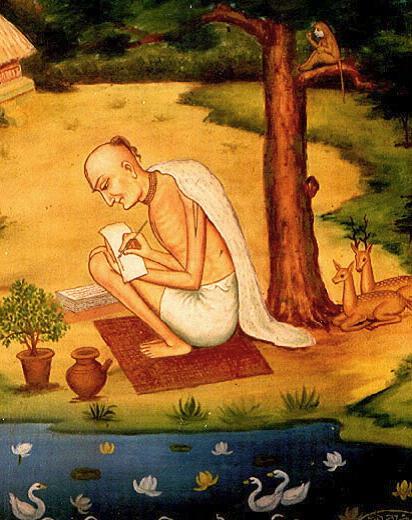 That is through the mercy of Śrī Caitanya Mahāprabhu. …A devotee who has attained perfect success in devotional service returns to Godhead without a doubt. For him there is no question of repeated birth and death. But if a devotee does not attain complete perfection, he is guaranteed birth in a learned and well-to-do family, and even if he is not given birth in a good family, he is blessed by being able to remember the lotus feet of the Lord. Such a benediction is greater than any number of material assets. Constant remembrance of the Lord’s name, fame and qualities automatically counteracts the reactions of all vices and extends the blessings of goodness. Constantly remembering the lotus feet of the Lord is the same as rendering active service to the Lord. Therefore a pure devotee does not ask the Lord for material wealth, manpower, followers or beautiful women. 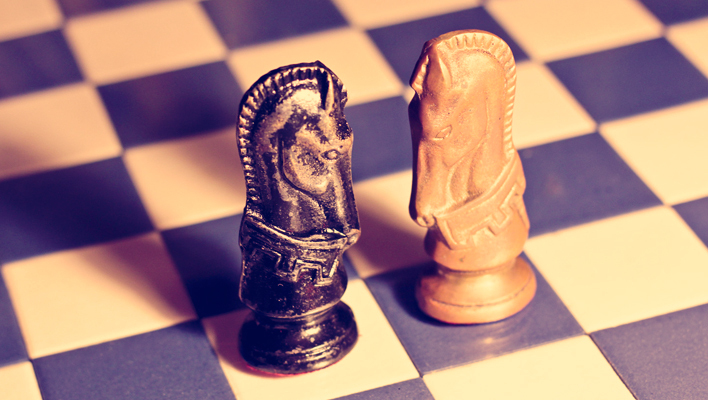 Rather, he simply prays for unalloyed faith in the Lord’s service. This should be the prayer and life motto of all prospective students in devotional service. O my Lord Mukunda! I bow my head down before Your Lordship’s lotus feet and respect fully ask for the fulfillment of my only desire. Throughout my repeated births may I never forget but always remember You by Your Lordship’s mercy. 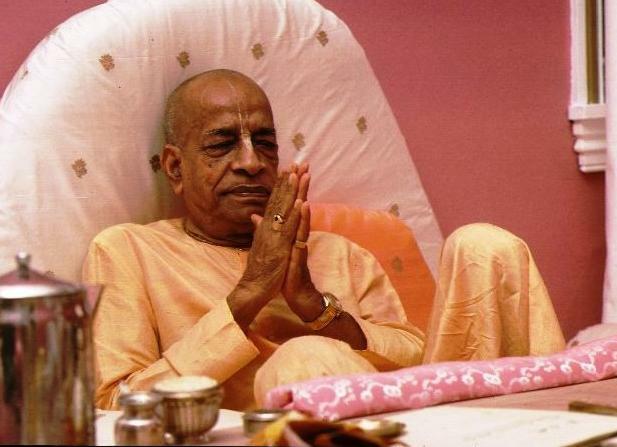 On the order of his spiritual master, His Divine Grace A. C. Bhaktivedanta Swami Prabhupāda began translating and writing Vedic literature in the English language to bring the message of Lord Kṛṣṇa to the Western countries. 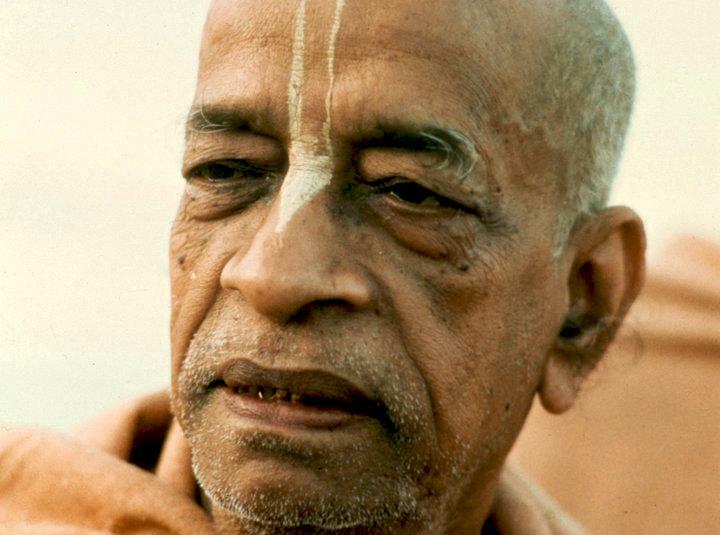 After decades of struggle in India, he came to the West and started the International Society for Krishna Consciousness. 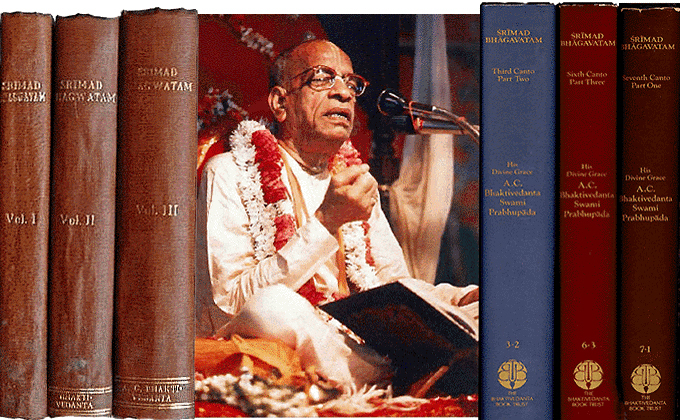 Later on he created the Bhaktivedanta Book Trust, to publish his writings and recordings of his lectures, conversations, etc. 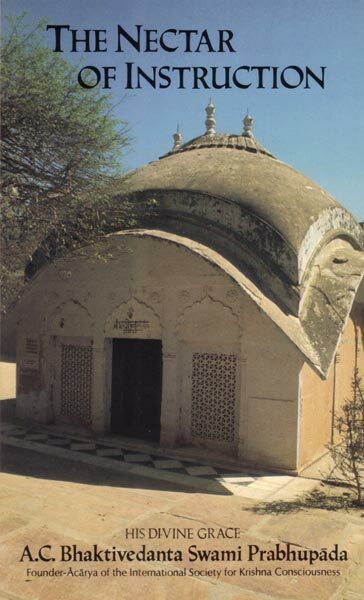 The VedaBase has been created so that this great treasurehouse of knowledge may be preserved and propagated and so that all may take advantage of the wisdom and association of the pure devotee of Lord Krishna. 1. I worship Lord Nityananda, the unlimited root of the tree of devotional service. He appears like an autumn moon, very splendid and free from any taint. Maddened with pure love for Lord Hari, His eyes constantly roll about and he walks as gracefully as an elephant. He is the Absolute Truth, His face is smiling, and holding a staff in His hand, He disperses the influence of the age of Kali. 2. I worship Lord Nityananda, the unlimited root of the tree of devotional service. He is the abode of the mellows of devotional service, no one can be compared to Him and He is the be all and end all for His devotees. 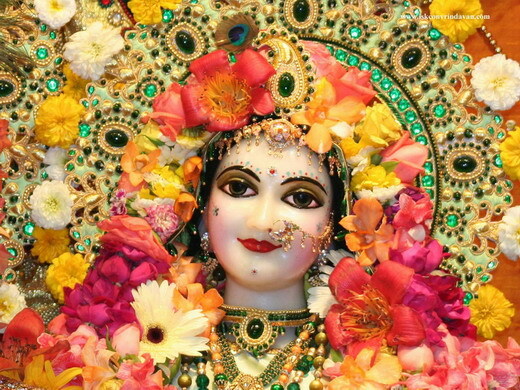 He is the Lord of Jahnava Devi, the goddess Who considers Nityananda more dear than life. He is always maddened with pure love of Godhead and the unintelligent non-devotees, cannot understand that He is the Supreme Personality of Godhead Himself. 3. I worship Lord Nityananda, the unlimited root of the tree of devotional service. He is very dear to Lord Caitanya Mahaprabhu, the son of Sacidevi and He is worshipped by the entire universe. 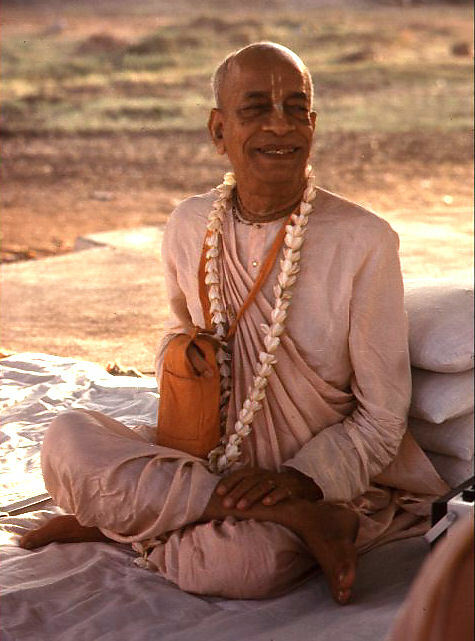 He is very cheerful and He delivers the souls immersed in the Kali-yuga. By chanting the holy name of Lord Hari, He removes the false ego born from the ocean of material life. 6. I worship Lord Nityananda, the unlimited root of the tree of devotional service. He is like Agastya Muni who forcibly swallows the ocean of material existence, and He is the rising full moon which is the friend of the lotus flowers and which increases the ocean, which is the welfare of the saintly devotees. He is the blazing sun which removes the darkness which is the community of demons. 7. I worship Lord Nityananda, the unlimited root of the tree of devotional service. He traveled on every path singing and dancing and repeating, “Hari! Hari!” Without considering His own interests, He was merciful to the people and he gave them His merciful side long glance. 8. 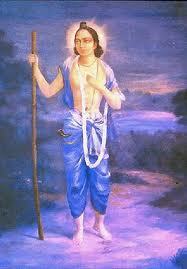 I worship Lord Nityananda, the unlimited root of the tree of devotional service. He held the beautiful lotus hand of His brother, Caitanya Mahaprabhu, and when They glanced at each others faces, Their hearts became full of transcendental bliss. They wandered through the towns of Bengal and delighted the people there.